Protaras is a family-friendly, tranquil yet lively resort situated along the East coast of Cyprus, with many famous blue flag sandy beaches, a wide range of activities and water sports as well as many shops, restaurants, pubs and bars. 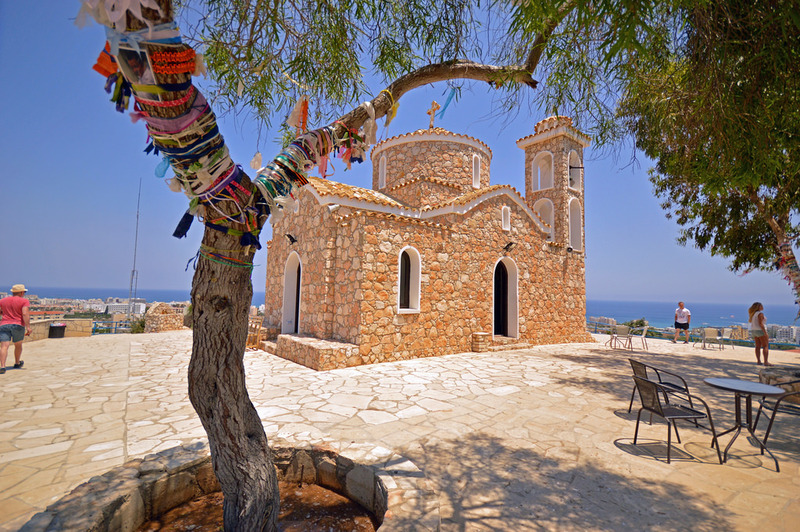 To the northwest of Protaras lies the limestone church of Profitis Elias, famous for its breathtaking views of the area whereas in the south lies Cape Greco National Forest Park, well known for its turquoise, crystal- clear waters and nature trails. Protaras popularity is also increasing after the announcement of a new marina development which is bound to attract more tourists as well as property investors and increase property prices in the greater area of Protaras. If you are looking to buy property in Cyprus and you are specifically considering houses for sale in Protaras area, then here you will find everything you need to know about the area, its hot spots and most importantly why now is the best time to invest in Protaras. Browse through a wide range of houses for sale in Protaras, located within easy reach from the new marina and Protaras hot spots by following this link. Fig Tree beach is the most famous beach in Protaras and boasts golden sands and crystal clear waters. It was declared by Trip-advisor as the third best beach in Europe in 2011 and has also been given a blue flag award. A point of interest is the small islet which can easily be reached by swimming through the shallow waters. The beach is perfect for families with children due to its shallow water and due to the fact that is it is an organised beach with sunbeds and umbrellas, toilets, showers, water sports and lots of restaurants and coffee shops to eat and relax. This bay is lined with hotels, restaurants and bars for a complete day out for visitors, all in view of a beautifully scenic coastline. It is one of the most popular beaches in Protaras as it is one of the beaches located along the 1.5 km beach strip which runs along the promenade in front of the hotels. Here you can find public facilities, sunbeds and umbrellas for hire, water sports and a wide variety of restaurants and bars at your fingertips. One of the most busy beaches of Protaras, at the peak of the summer this lovely beach is buzzing with people. Similar to the rest of the beaches along the strip, Sunrise Beach features crystal clear blue waters which are that clear that you are able to see the seabed with its gorgeous fine white sand! The hotel's beach bar is within easy reach from which you can enjoy refreshing cocktails and snacks. Pernera beach is a south-east facing sandy beach set in a small, enclosed bay with low hills on both sides and backed by large hotels. The beach features all the usual amenities such as sunbeds, umbrellas, public facilities and water sports. This is a more secluded beach ideal for those who would rather give the hectic Protaras resort a miss and spend their day in a more relaxed environment. MADD beach in Kapparis is the last cove with a sandy beach before the buffer zone between north and south Cyprus. It is a very small beach with about three rows of sunbeds with steep cliffs and rocks to the south and rocky outcrops to the north. Located close to the main strip of the popular tourist resort of Protaras - which is part of the holiday town of Paralimni - the small beach of Kapparis is a relatively secluded strip that can be found at the end of a 1 km track. It is the furthest beach in the area and boasts fine, golden sands and crystal-clear sea waters. Facilities on the beach include toilets, changing rooms, sunbeds, umbrellas and water sports facilities, whilst the general area has a variety of restaurants and kiosks. Sirena Bay is a hidden gem located in Pernera near Protaras. 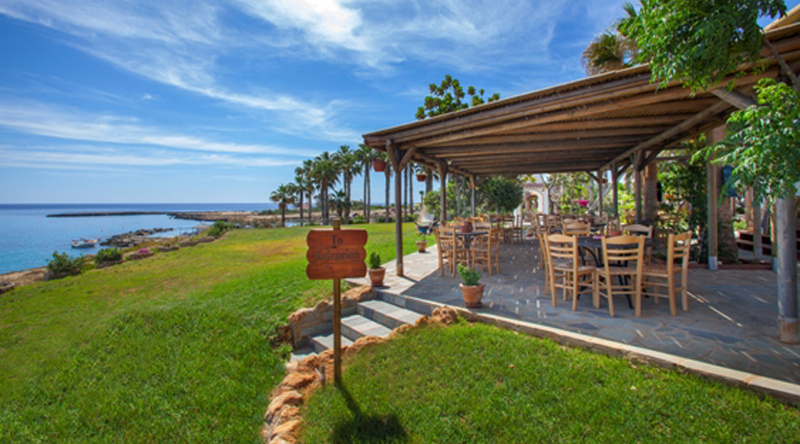 Boasting a stunning bay location with a small beach, sunbeds, raised sunbathing area as well as a bar and restaurant set in a beautiful picturesque authentic Cypriot location. This graphic beach is a must if you wish to experience breathtaking scenery, calm swimming waters and a relaxing and authentic Cyprus experience. Another small sandy beach ideal for relaxation. The small cove at Malama, also called Skoutari, is located at the north of Ayia Trias and has as a narrow strip of sand with sea eroded cliffs to the north and shoreline large rocks to the south. The rocks create a well protected 'sea pool' that is very shallow for some distance out so this is a great beach for families with children, although only basic amenities are found here. Found in between Protaras and Agia Napa, Konnos beach stands out from within Cape Greco national park and is prominent for its white sands and crystal water. Flanked by rocky hills full of pine trees the road to the beach offers excellent opportunities for amazing photographs. Access is also via the Grecian Park Hotel above. The beach features plenty of car park space, a small kiosk for snacks and drinks, sunbeds and umbrellas for hire, public facilities and water sports. Browse through a wide range of houses for sale in Protaras, located within easy reach from the above famous beaches by following this link. Surely if you are considering houses for sale in Protaras either as a holiday home, a permanent residence or even as a buy-to-let investment, you would like to know the top things to do while in the area and get to know Protaras before you make any decision. Built in the 1980s, St. Elias is a Greek Orthodox church that sits on top of a 100-metre hill which you can reach via a 150-step stairway and offers magnificent views of the whole area. It’s not a challenge to take lightly, especially in the summertime, but once you get to the top you’ll know why this church is considered something not to be missed. 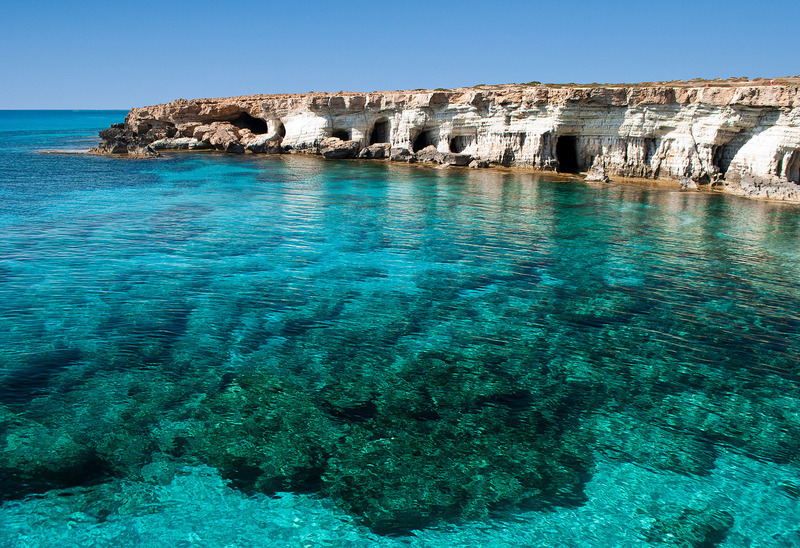 Tucked into a little bay on the rocky terrain of Cape Greco, between Ayia Napa and Protaras is what has been quite suitably nicknamed Blue Lagoon. It's sheltered by Cape Greco and lovely crystal clear aqua blue waters, Blue Lagoon is a tranquil place definitely worth visiting to have a swim and sunbathe on the beach rocks relaxing with a refreshing cocktail from a nearby canteen truck. Luring visitors from near and far, visit this gorgeous whitewashed chapel that claims pride as one of the few buildings in the National Park with its rather magical location luring couples from around the world who choose to have their wedding here. 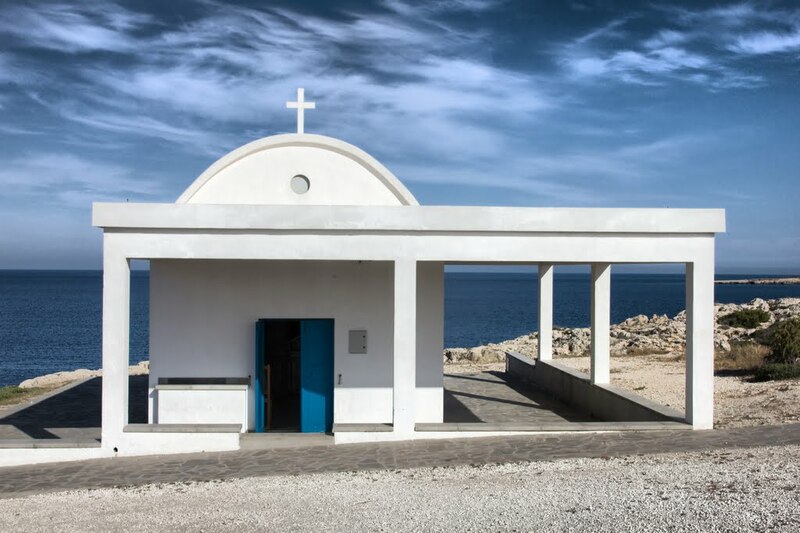 Once you’ve had a look at the chapel, walk down the nearby steps that take you to the sea and into a cave that used to be a shelter for fishermen and where holy water is said to run. The cliffs next to the chapel are also famous amongst the locals and tourists alike as a diving point, so this is a must if you are brave enough! 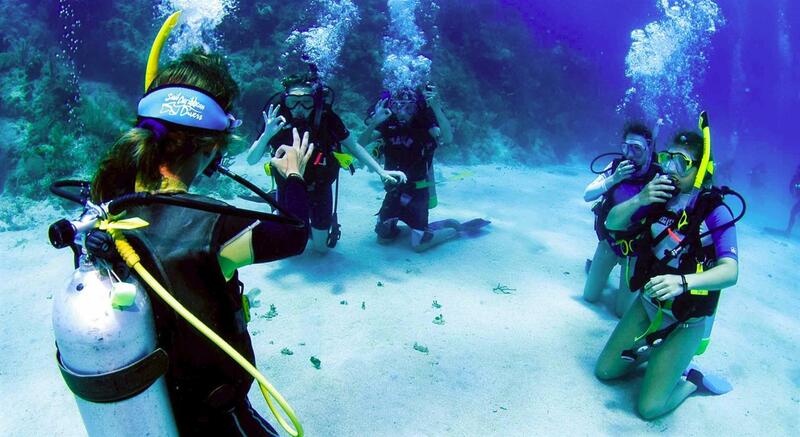 From March to November, Cyprus has a dive season longer than anywhere else in Europe. This is down to the island’s latitude, which grants its comfortably warm waters for most of the year. The southeastern side of Cyprus is also where a lot of the diving action happens, and a host of PADI-approved companies operate in Protaras and Ayia Napa. If you’re a newcomer it’s the perfect chance to learn the essentials. 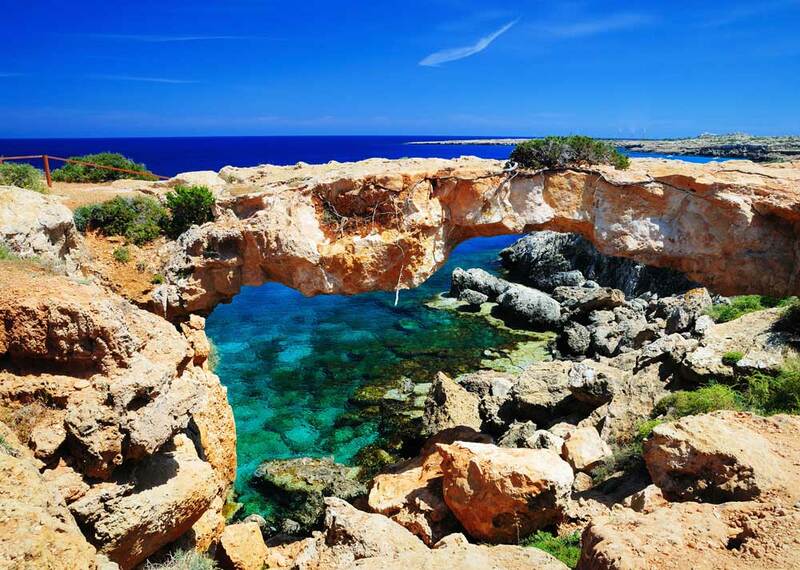 One of our favourite walks in the area – named Ayii Anargyri: Thalassines Spilies (Sea Caves) – starts off at the whitewashed chapel of Ayii Anargyri and takes you all along the coast and the spectacular sea caves, as you pass by the ‘Kamara tou Koraka’ natural bridge. The walk will take you about an hour and a half to complete, while the short circular Aphrodite trail (about 3km long) also makes for a great walk, taking you along the magnificent coast. For something a little different, the ‘Kavos’ trail, which sets off from the old quarry parking area, gives you the chance to spot plenty of marine fossils, while a unique vantage point will give you the chance to take in fantastic views. 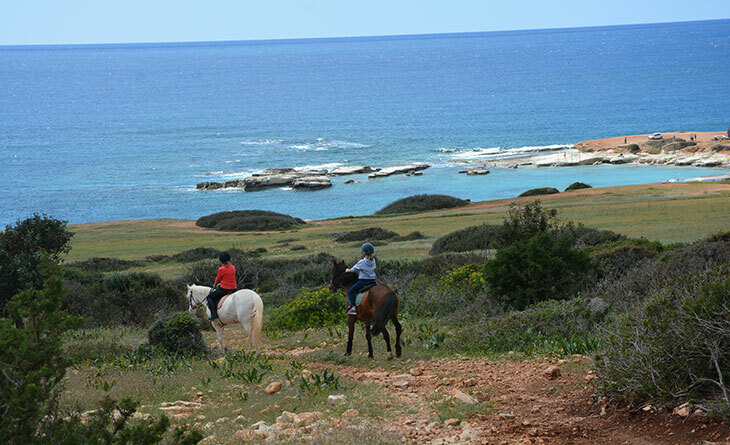 The Moonshine Ranch & Riding Club is situated on the outskirts of Protaras in the idyllic surroundings of Cape Greco with fields in all directions, and boasts some of the best views on the island with the Mediterranean Sea to the east and the mountains of Famagusta to the north. This is a great activity if you don't feel like relaxing on the beach for a day and you would like to spend the day out in the nature and explore the area. A small yet picturesque coffee shop in Protaras, part of Cavo Maris hotel, which offers traditional Cypriot coffee, mahalepi with rose cordial and ouzomeze. This is the ideal place to relax and have a refreshing drink or a coffee when leaving the beach, as it combines unique sea views, a relaxing environment and great service. Browse through a wide range of houses for sale in Protaras, located within easy reach from the above hot spots by following this link. The Protaras Marina scheme is a mixed-use waterfront development incorporating 195 apartments, 27 commercial units, a yacht club and visitor facilities together with a 300-berth marina for vessels up to 25m in length. At a cost of €110 million, the project includes residential and commercial buildings and a hotel. It is due to be fully operational in 2021 and will be the first dedicated leisure marina to be located on the Protaras coast. 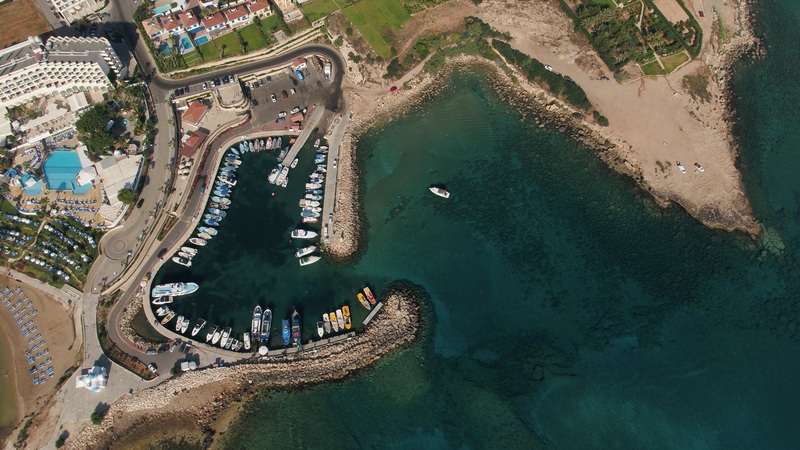 Protaras Marina will be developed by PMV Maritime Holdings in association with Marina Projects that has been working alongside the directors of PMV since the announcement of the Concession contest in June 2015. Needless to say, a project of such scale is of immense significance for the local community and local economy and will positively impact the area of Protaras and Paralimni in various ways. After the announcement of the upcoming new marina and the signing of contracts, there is an increase in residential developments in the area and houses for sale in Protaras are of great demand as property prices are expected to rise. Protaras is already a famous destination both for tourists and also for investors seeking to obtain a permanent residence or Cypriot Citizenship and with the development of a new marina there is no doubt that the tourism and touristic development will increase exponentially. Based on the above, it is apparent that touristic development and increased interest from investors will lead to a steady rise in revenue and economic growth. The subsequent economic growth will speed up new construction projects, boost competition, and force businesses to further improve their services,thus resulting in an overall upgrade of the entire area. It is therefore evident that now is the perfect time to invest in Protaras area and take advantage of this unique opportunity to own a house near the new marina and capitalize on future price increases! Browse through a wide range of houses for sale in Protaras, located within easy reach from Protaras Marina by following this link.